THIS HOME IS UNDER CONSTRUCTION. NEW HOME IN POPULAR SUBDIVISION ON LARGE CUL-DE-SAC LOT.CLOSE TO SHOPPING & SCHOOLS. 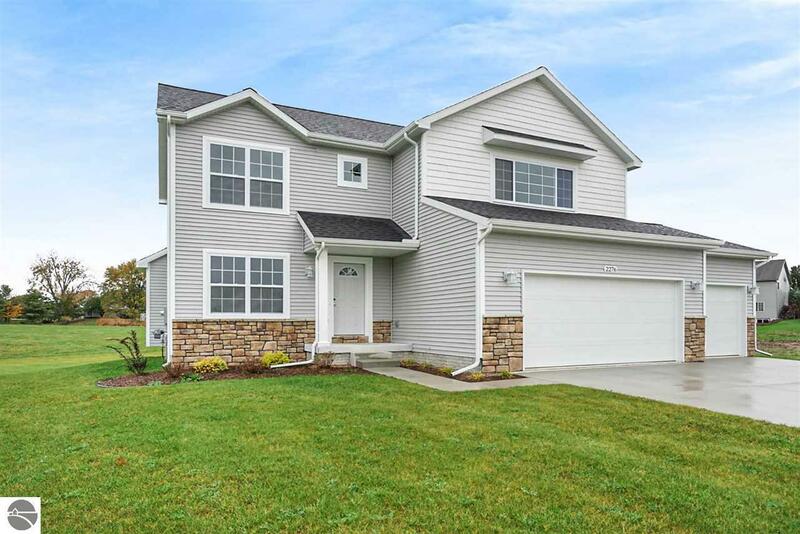 4 BEDROOMS, 2 1/2 BATHS, 3 CAR GARAGE DRYWALLED & PAINTED, DECK, GAS FORCED AIR FURNACE,CENTRAL AIR, STAINLESS STEEL APPLIANCES, GRANITE COUNTERTOPS, UPGRADED CABINETS, FULL UNFINISHED BASEMENT CAN BE FINISHED FOR $ 16,379.00,LANDSCAPED, IRRIGATION SYSTEM, CONCRETE DRIVE & WALKS, 2 X 6 WALLS, GUTTERS, ANDERSON WINDOWS, HOUSE WILL BE COMPLETELY FINISHED AND READY FOR OCCUPANCY.